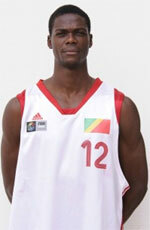 TAU Castello (LEB Gold) inked 23-year old Congolese forward Charles Nkaloulou (199-94). 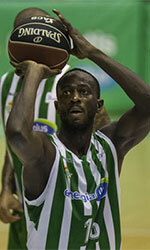 He is not a newcomer in Spanish League as he played most recently at Xuven Cambados in the LEB Silver. In 32 games he recorded 14.2ppg and 6.1rpg last season. A very good year in his career as he was voted to Eurobasket.com All-Spanish LEB Silver 2nd Team. The previous (15-16) season Nkaloulou played at Zornotza (also in LEB Silver) where in 25 games he averaged 12.6ppg and 6.4rpg. It was a very successful season in his career as he was voted to Eurobasket.com All-Spanish LEB Silver Honorable Mention. Nkaloulou has played previously for two other teams: Leche Rio Breogan and Estudiantes Lugo Leyma Natura. His game is described as: An athletic forward with great scoring skills, very promising.